After using, and having been frustrated with, a long list of compact digital cameras (Olympus, Sony, and Fujiflim), I finally decided to bite the bullet and go for a full fledged DSLR. 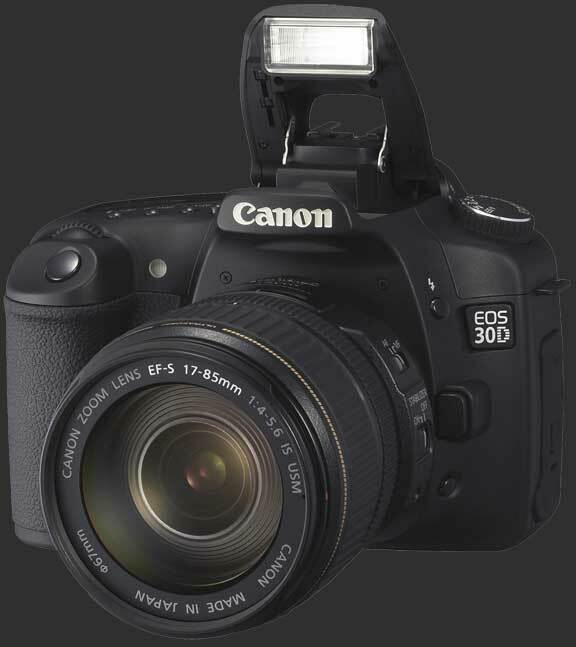 My previous film SLR experience had been with a Nikon, but after reading many reviews and seeing what was available, I decided that the Canon 30D fit my needs the best. After six months I don't at all regret my decision. This is simply the best camera I've ever owned. While it's possible to pick up this camera for the first time and take some "decent" photos right off the bat, there was definitely a learning curve to get good results and really get a "feel" for it. Read the manual, it really will make things easier! Looking back, the biggest mistake I made was even removing the kit lens from the box ( in my case the 18-55mm). Pretty much the best thing these kit lenses are for are paperweights, or backup lenses in a worst case scenario. Trying to get good results with the kit lens, especially on the wide end, was horribly frustrating and discouraging. The best thing you can do is a get a decent lens (or 2 or 3) when you first get the camera, you'll thank yourself later on. It doesn't have to be an expensive lens, but come on, if you're already spending $1200 on a camera body, why would you want to be stuck using a $70 kit lens? A good starter lens set could include a 50mm prime (Canon has a decent one for like $60), a wide zoom (I went with a Tamron 17-50mm), and a telephoto zoom (Tamron 28-300mm is very reasonable around $360). If $1200 for a camera body and $800 for some decent starter lenses is more than you're interested in spending, a good alternative is the Canon Digital Rebel XTi. It's $400 cheaper than the 30D, has a few more megapixels (10.2 vs 8.2), is a bit lighter, and easier to hold for smaller hands. It doesn't have all the features of the 30D, but is a *good* DSLR. Best of all, it will save you money that you can in turn spend on better lenses.